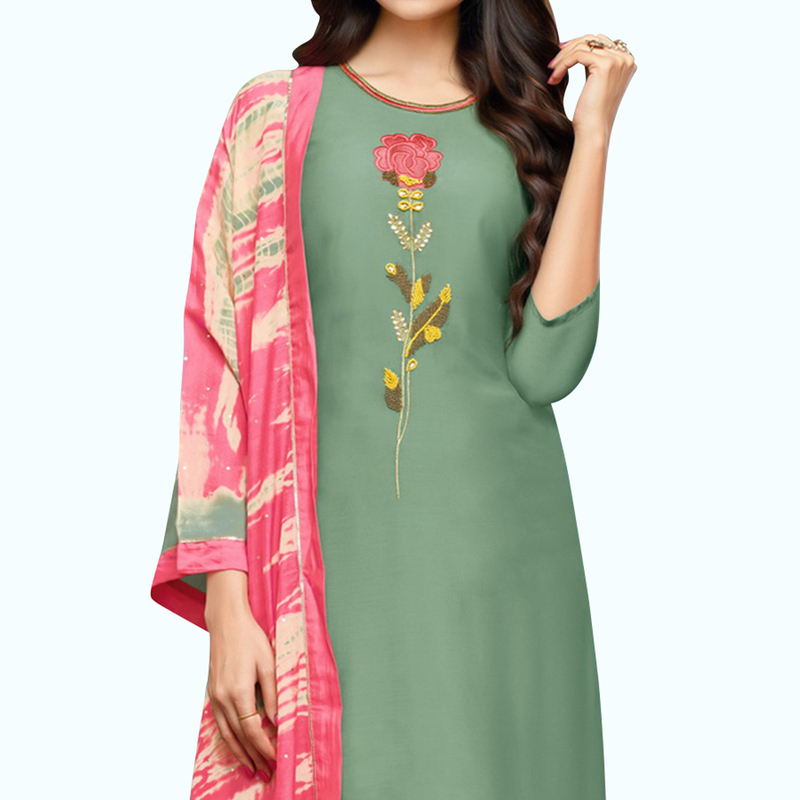 Real elegance will come out of your dressing style with this classy pastel green colored salwar suit. The top is made of muslin cotton silk fabric and beautified with beautiful embroidery as shown. Comes along with unstitched dull santoon bottom and digital printed muslin cotton dupatta all synchronized well with the latest trend and style. Get this semi stitched suit stitched as per your desired fit and comfort. This outfit is perfect to wear on weekend get-together, office wear, parties, functions & occasions. Team this suit with ethnic accessories and high heel for a complete look and fetch compliments for your rich sense of style. Note:- The actual product may differ slightly in color and design from the one illustrated in the images.